Brilliant! Why Smurfs though? Just because? East London? Why were they in E London? They were in South East London at The Valley. At the home of the Champions. East london? Must have looked pretty stupid turning up to The O’s in that get up while the Charlton away end in SOUTH EAST London was empty. Brilliant!! 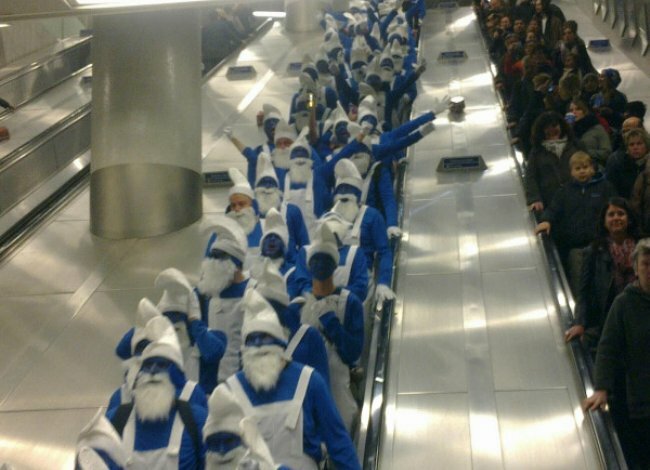 we saw some of the Smurfs near Covent Garden. They looked really great and cheered us up. Thanks for giving people something to smile about! !